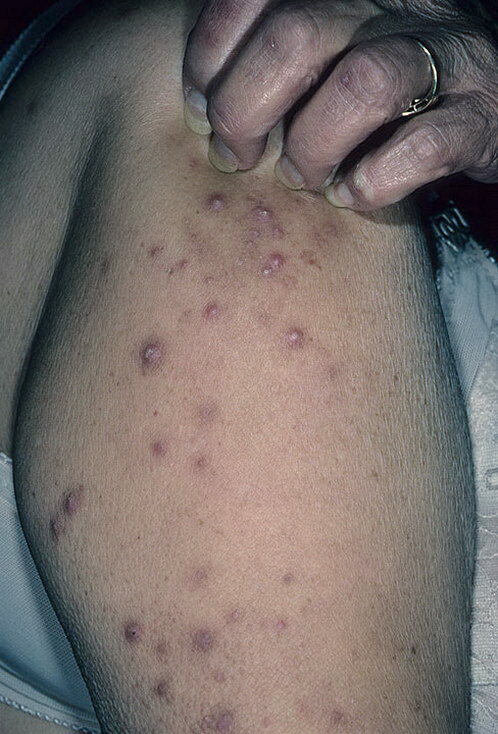 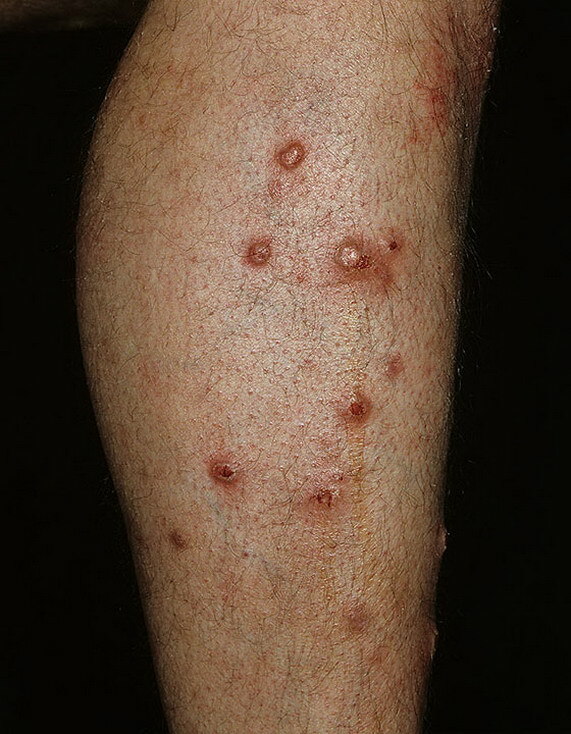 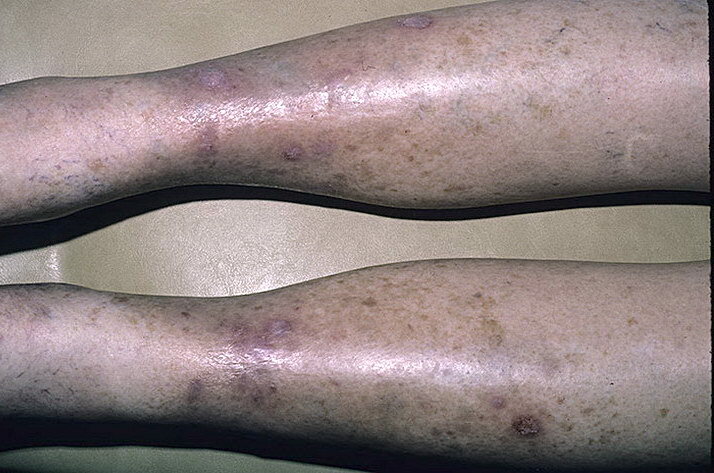 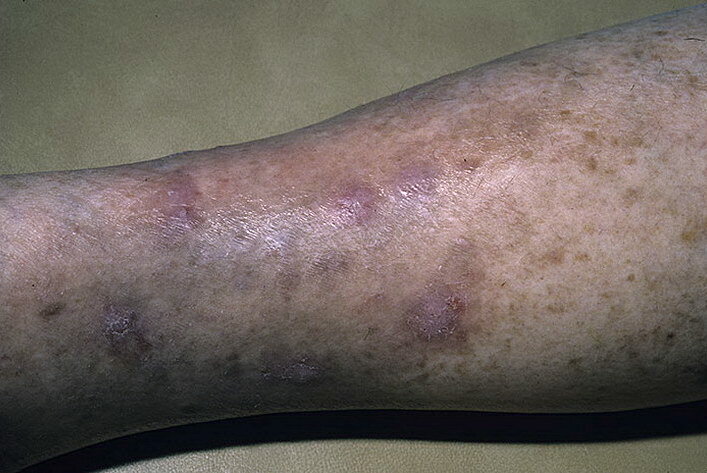 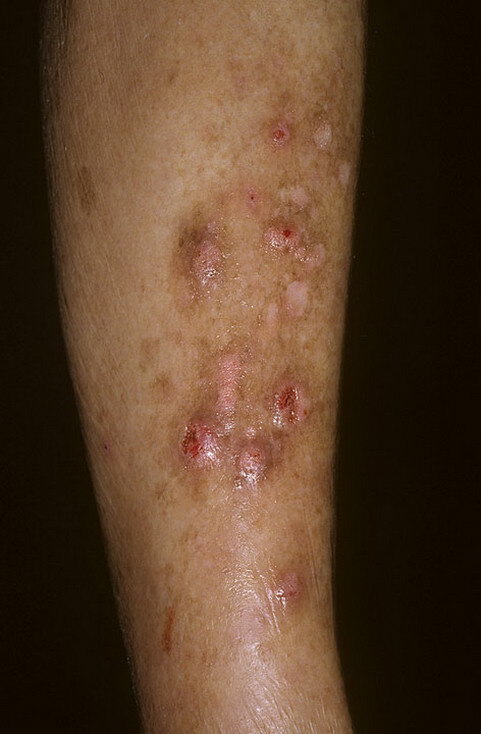 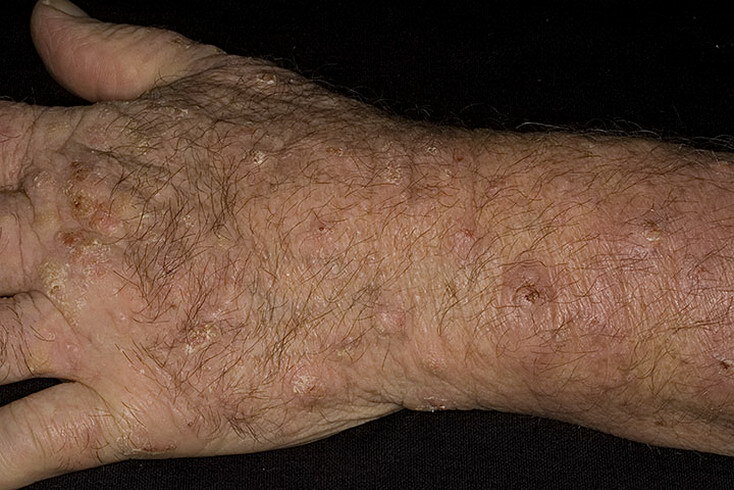 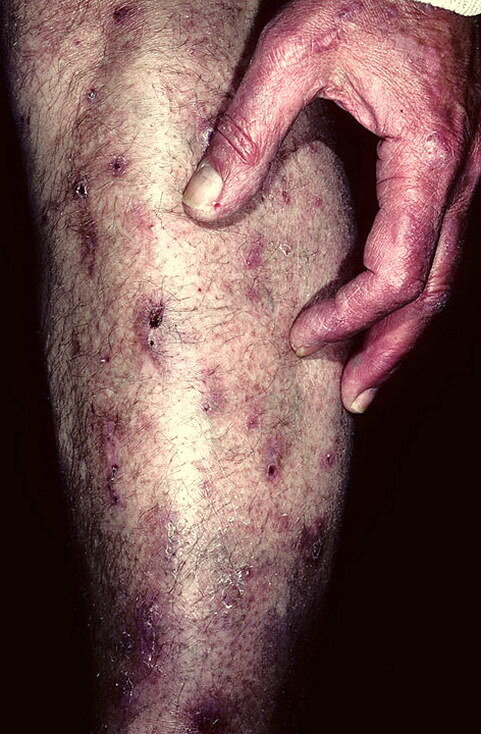 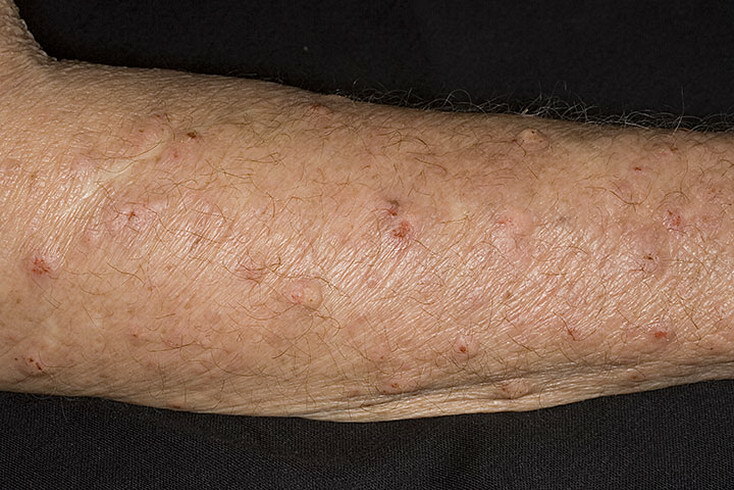 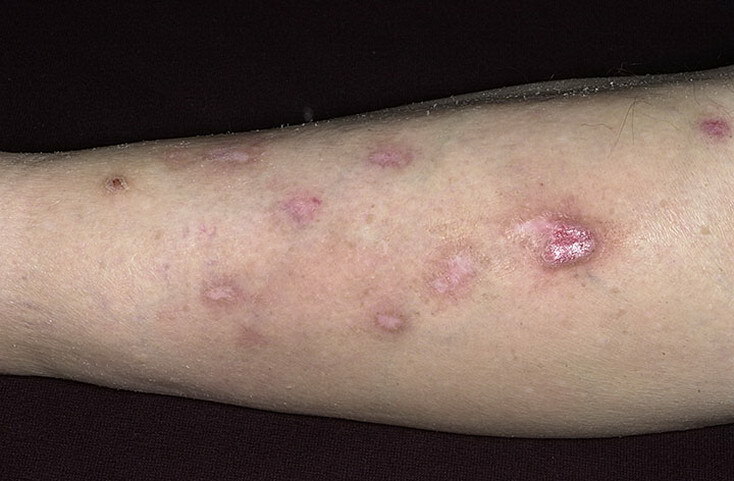 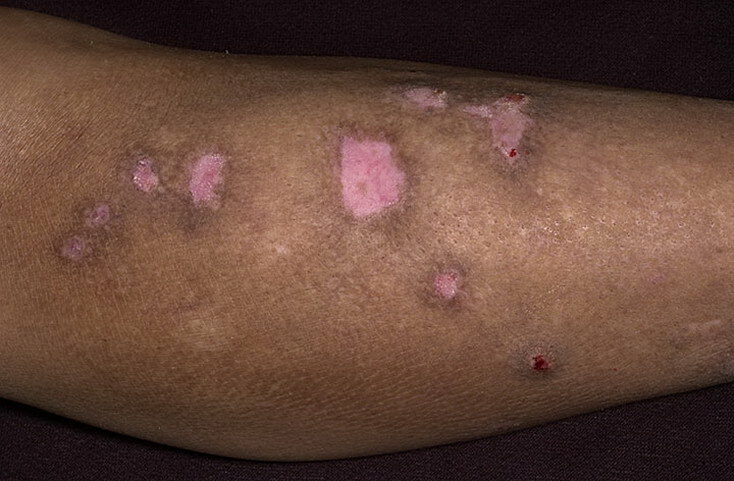 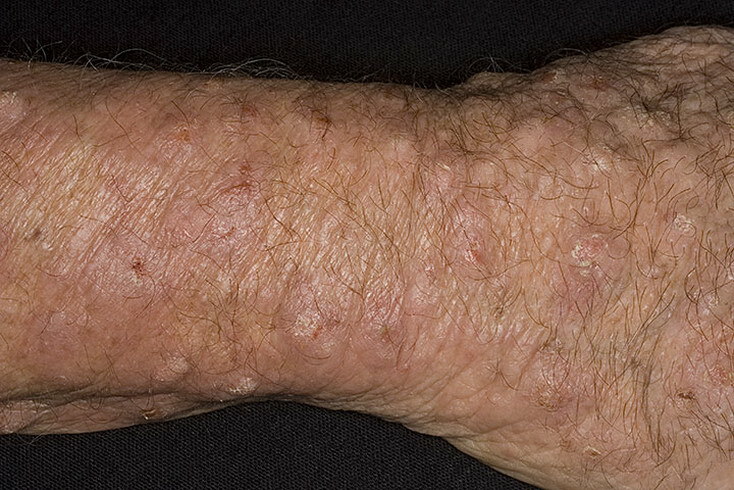 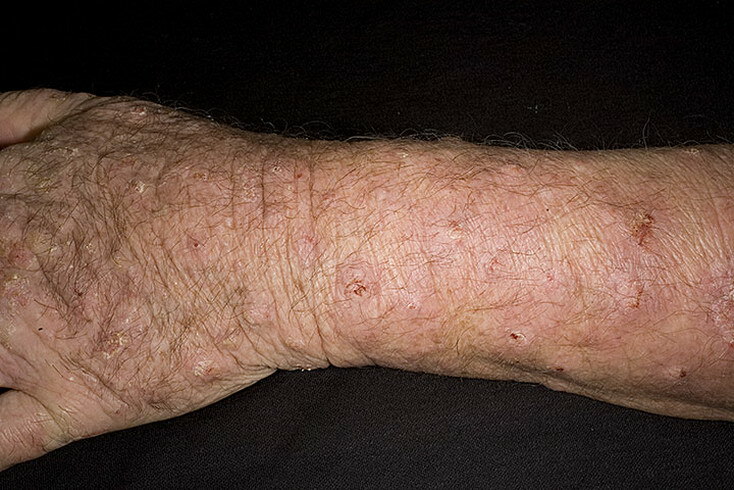 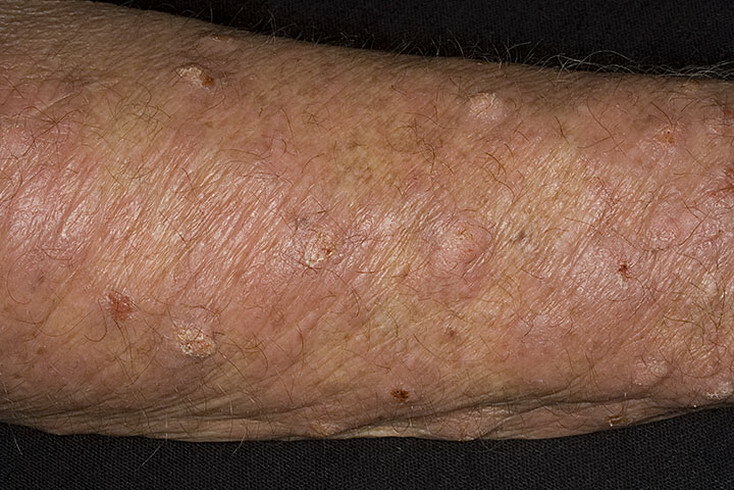 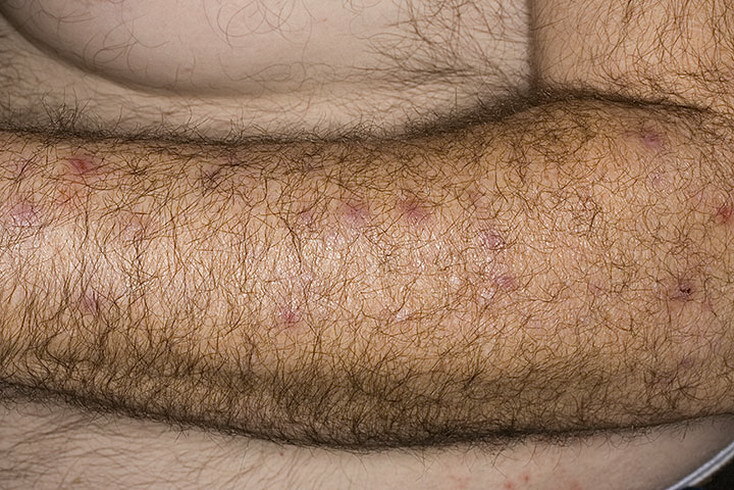 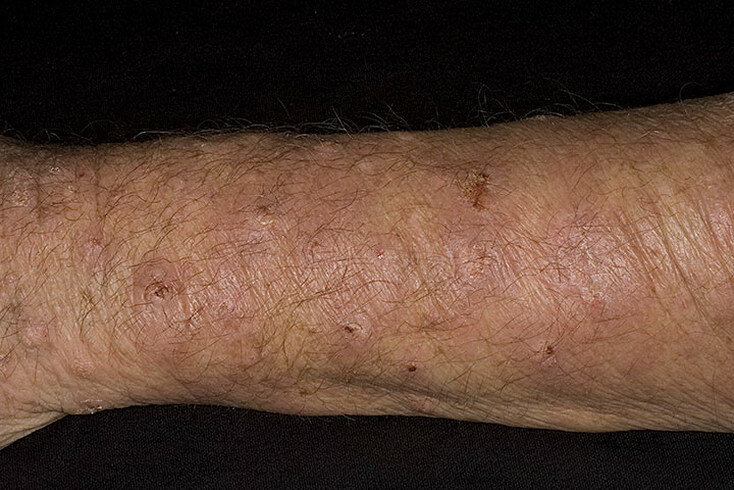 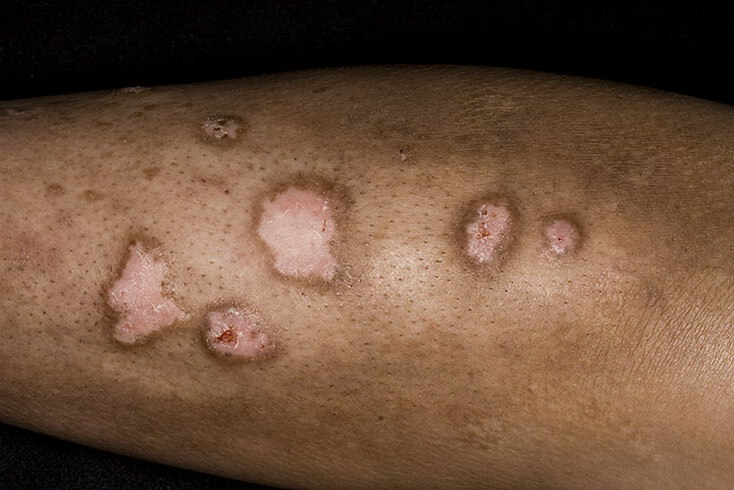 This is a chronic inflammatory dermatosis of unknown aetiology. 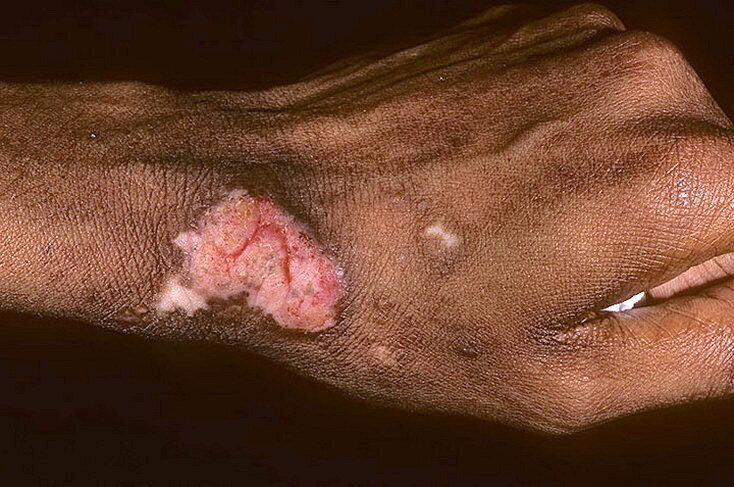 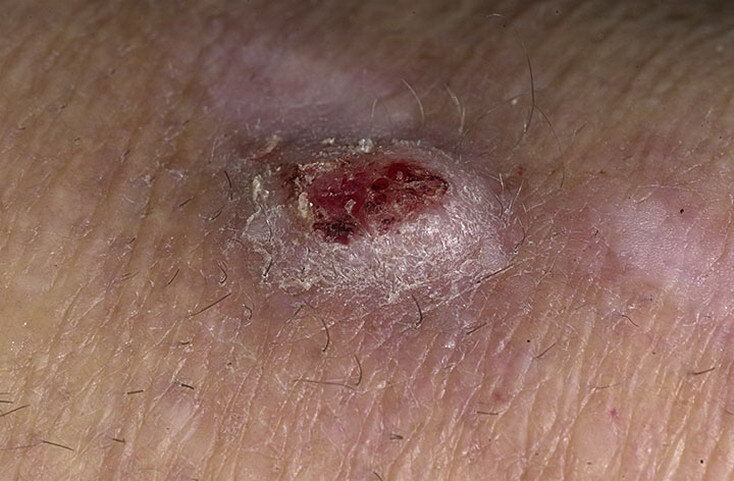 It causes a papulonodular eruption which is intensely itchy. 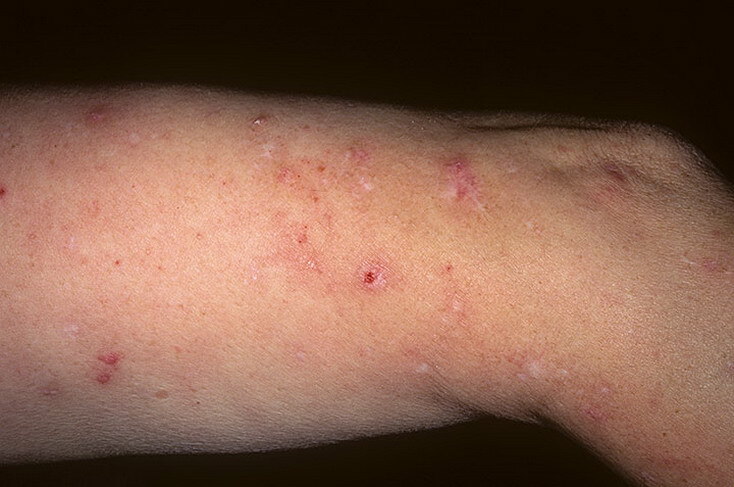 Patients may be driven to distraction by the itch/scratch cycle which the disease induces, as may their doctors by their inability to treat the condition effectively. 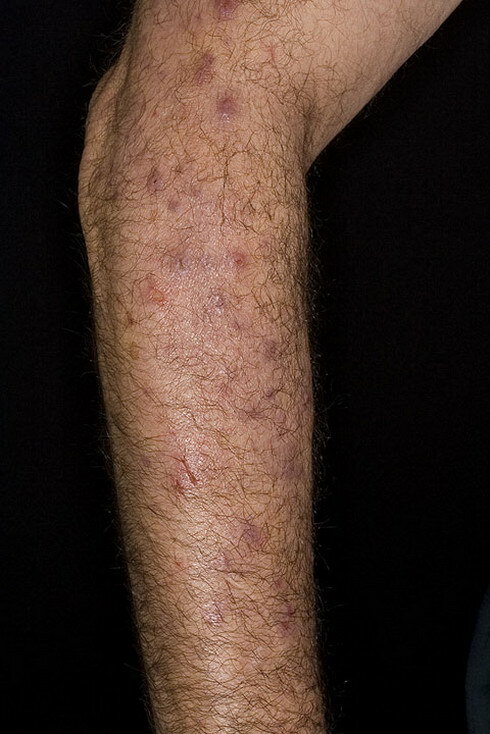 Usually on extensor surfaces of the legs/arms, and may occasionally affect the trunk. 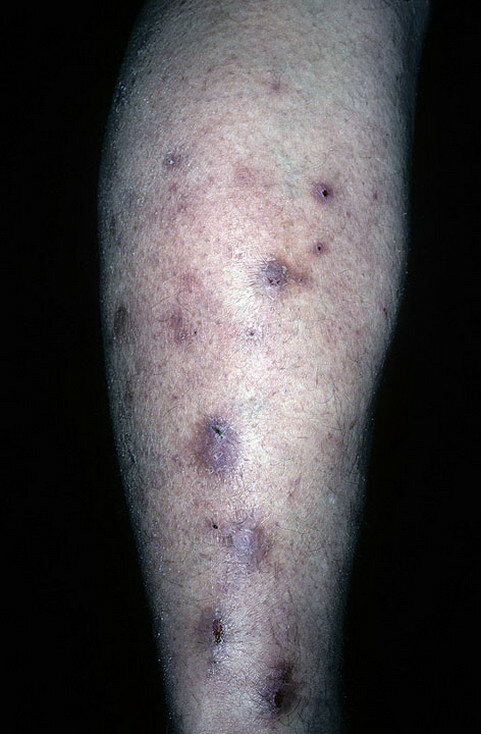 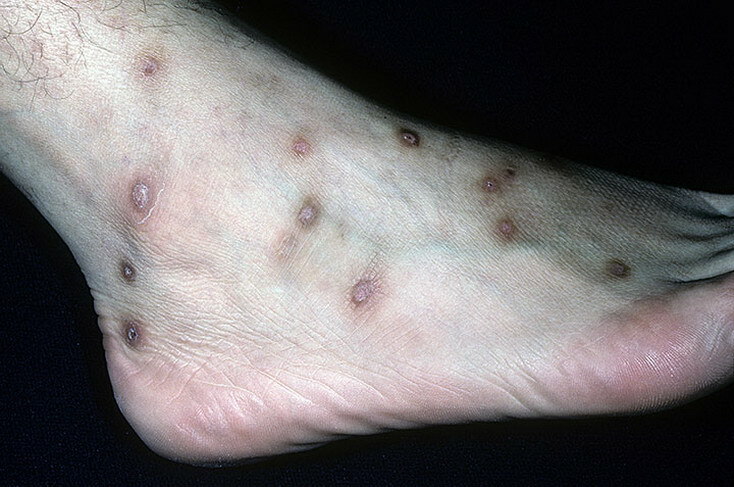 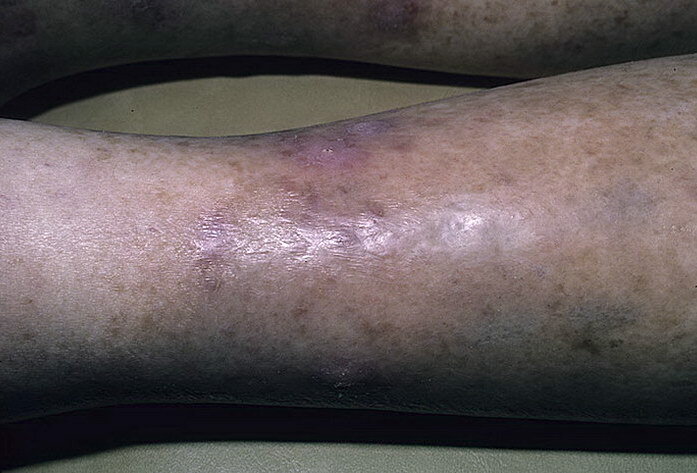 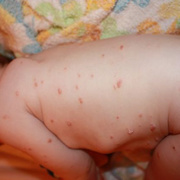 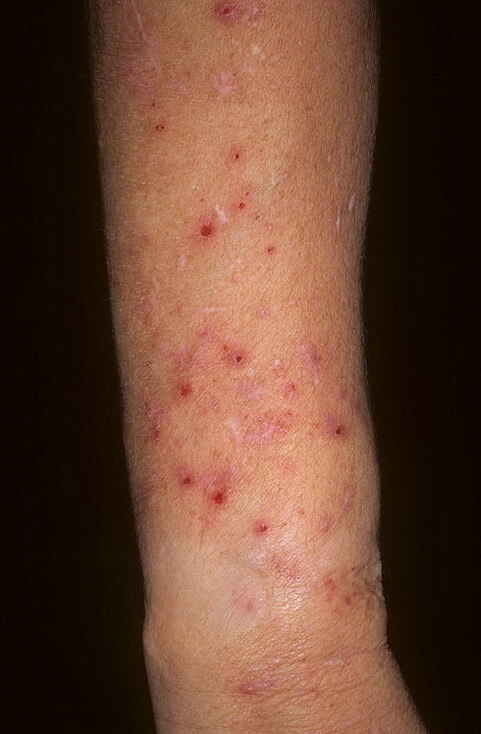 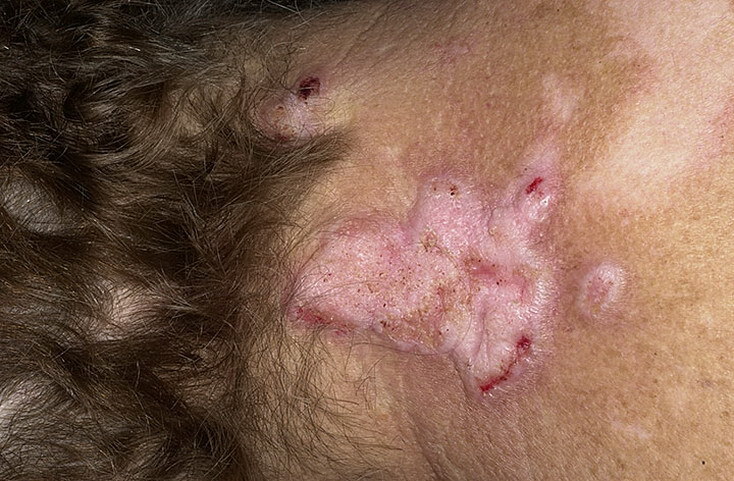 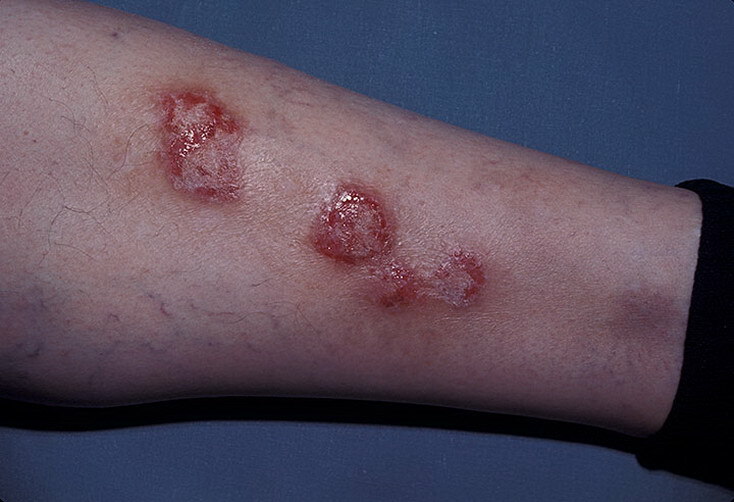 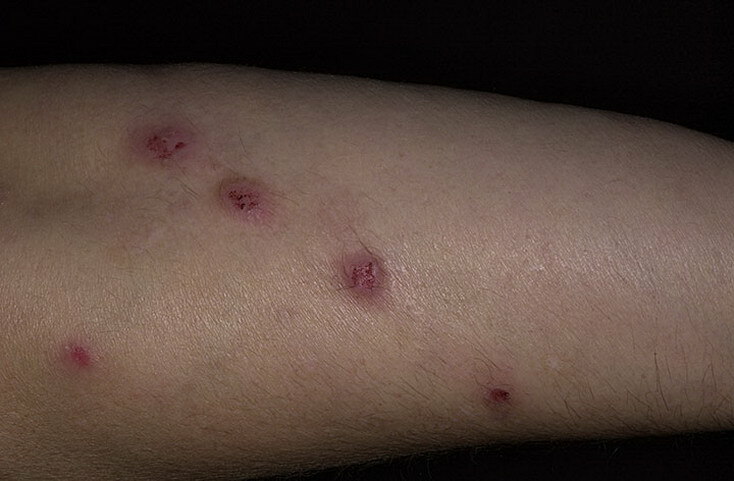 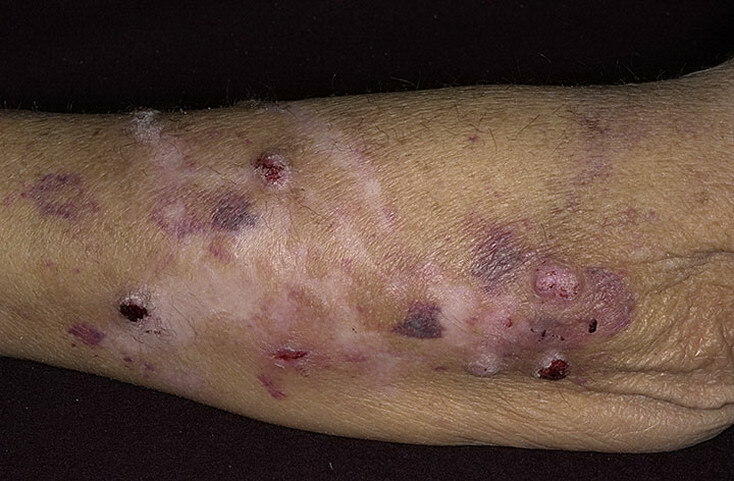 There may be a few lesions or up to several hundred in some cases. 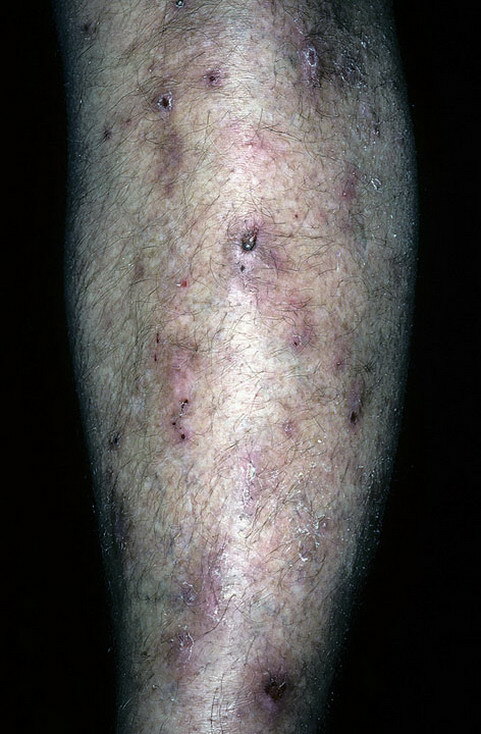 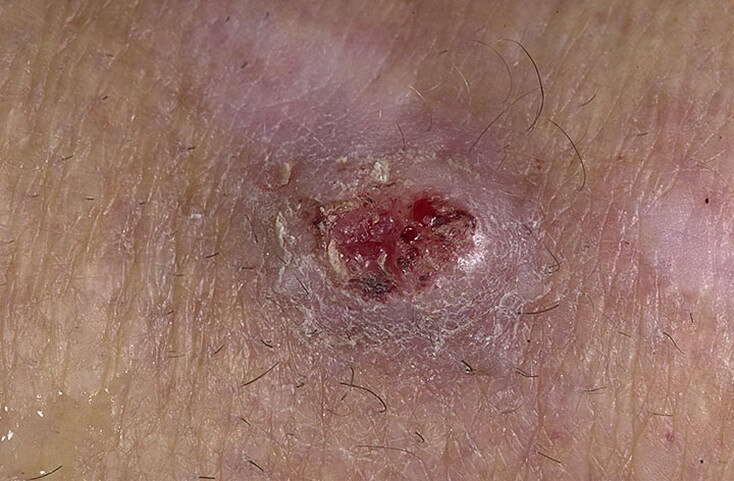 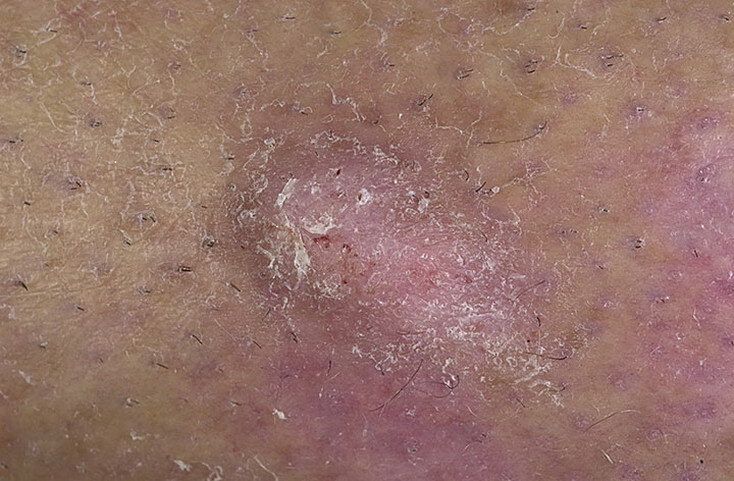 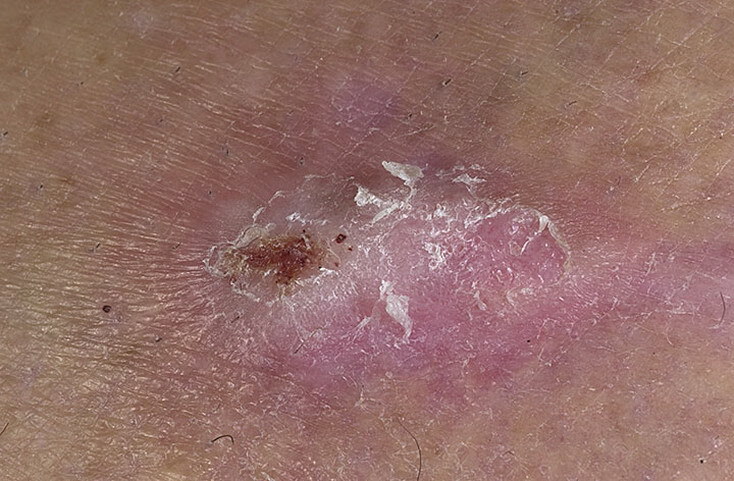 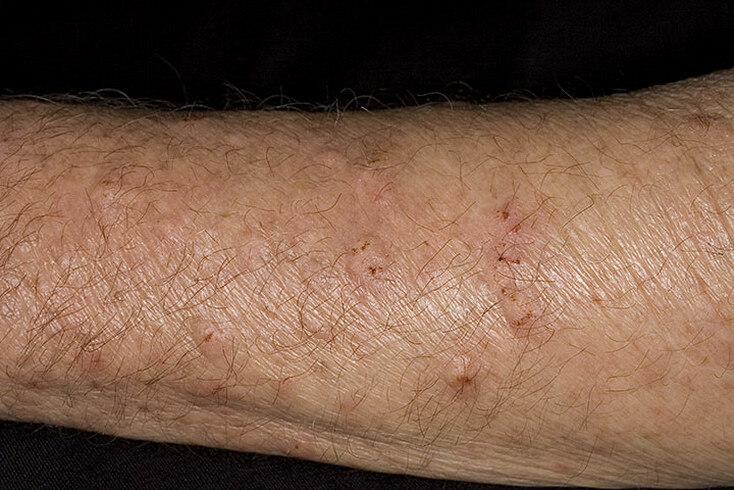 Patients may be observed to scratch repeatedly or rub the lesion during the consultation, often in preference to pointing them out when asked to indicate the problem. 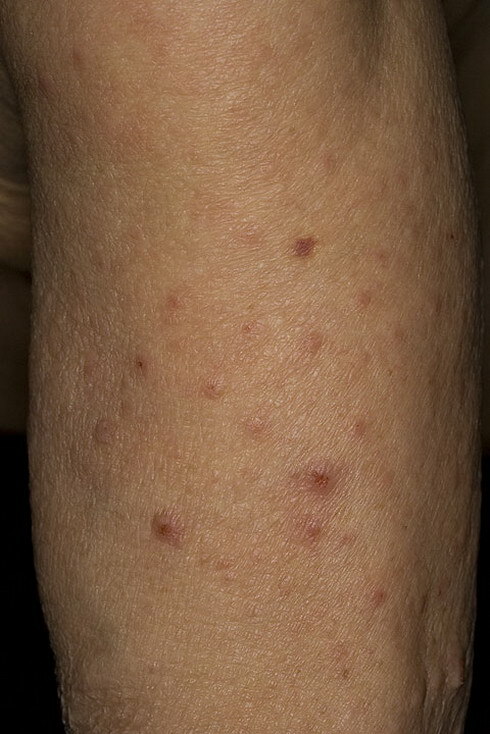 The condition appears to be relatively common, particularly among patients who have some of the associated/precipitating conditions; however, there are no surveys of its prevalence in the general population.It is more common in middle-aged women. 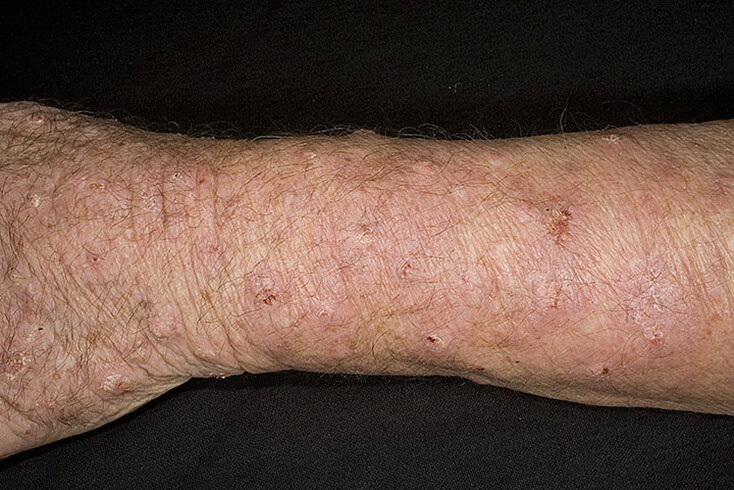 It was common in HIV-positive patients before the advent of highly active antiretroviral therapy (HAART) but is now.relatively uncommon in treated patients. 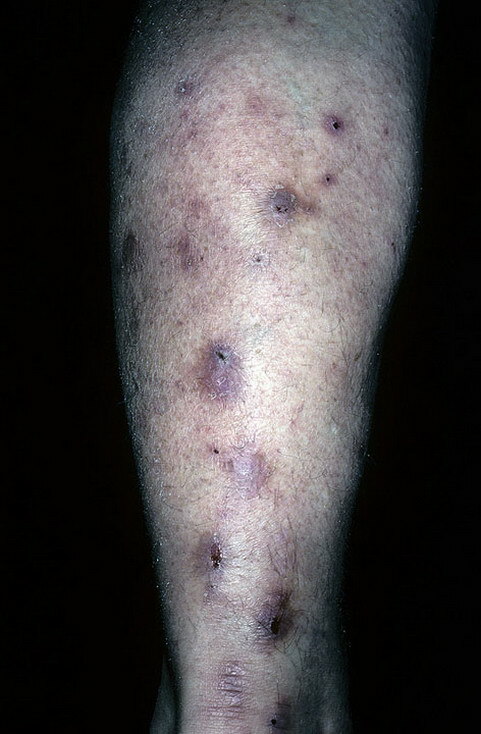 However, it is still prevalent where access to HAART is limited. 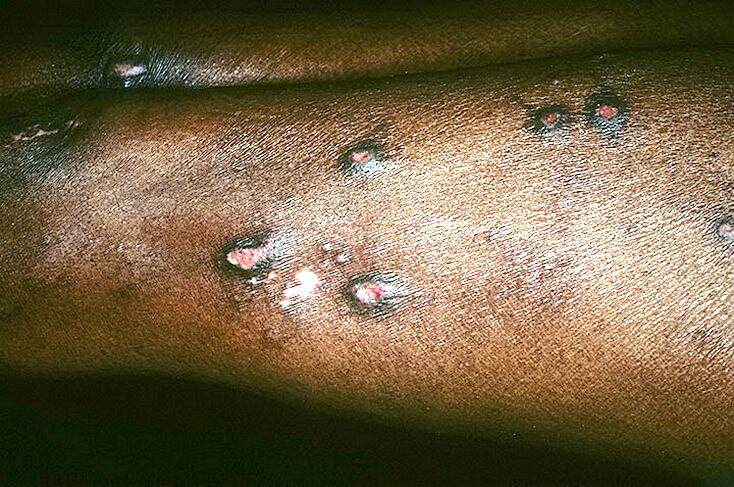 One study found that the development of prurigo nodularis in HIV patients was a sign of severe immunosuppression.